First is 18 mm., 23.70 ct prasiolite. Next is a 12.14 ct., 15 mm citrine. And the third is an 18 mm., 21.92 ct. amethyst. 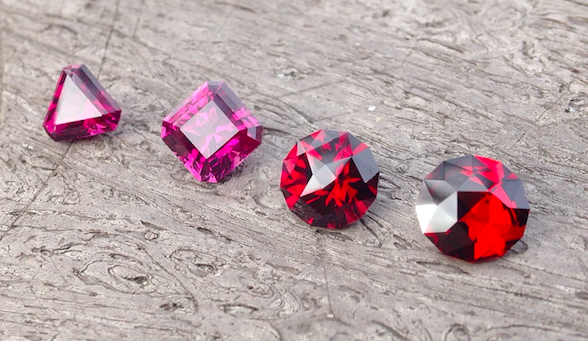 Set of four garnets I recently cut. Cloudy skies make them look way better. First two are modifications of Tribal and Squartuguese by Marco, third is Clocktower by Scootr, and fourth is a design of my own. Here's another feldspar moon that I (accidentally) started with the Chinese New Year. This shows a catseye and subtle adularescence on the crescent in some lights, and is 7.8mm round. It's also for sale, if anyone here wants to pick it up before I make an Etsy listing! As it is time to figure out how to use the fantasy aspects of my machine, I selected some smoky quartz as the subject for the next experiments. This stone pictured below was not part of the plans, but a sidetrack to clarify what I was seeing with one of the others. In this case, the pavilion is a series of diagonal concave cuts. But instead of a plain emerald cut crown which I have done previously with that sort of pavilion and which gives the "quilted" look, this time, a barrel crown. The result is curved rows of little lights. The stone is 17.0 x 12.4 mm., 12.41 cts. Last edited by Dor on Mon Apr 08, 2019 4:49 am, edited 5 times in total. 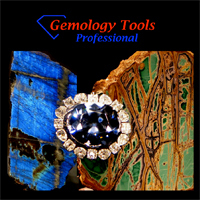 as my lapidary skills is a working progress,my photographic skills and equipment also need to be improved. need some reading to do about it... will get there, hopefully. I've had great trouble with the photography myself. 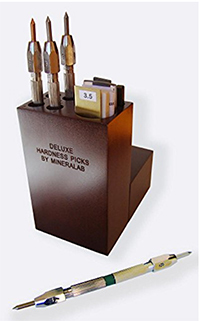 useful for gems but is very time consuming. I've been using my iphone for pics lately. I prefer it to my Nikon and Canon. 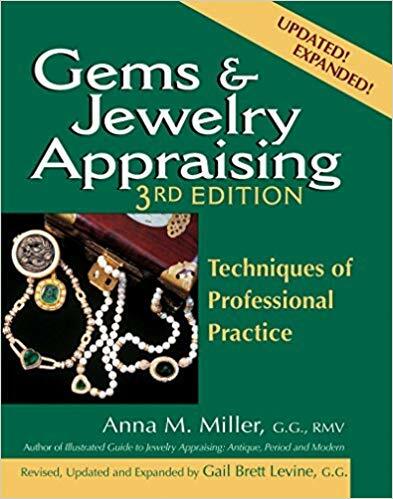 A little bit of an investment, but now it takes just a minute to get professional quality images and videos of jewelry, and gemstones. It pays for itself quickly in time and sales. Perfect for sales, documentation, and appraisal work. i only use my high resolution camera and lenses when I want magazine quality resolution for printing. Even then, the GemightBox is the lighting solution. yeah, i also think that a light box and some lens for my phone will be a good starting point. 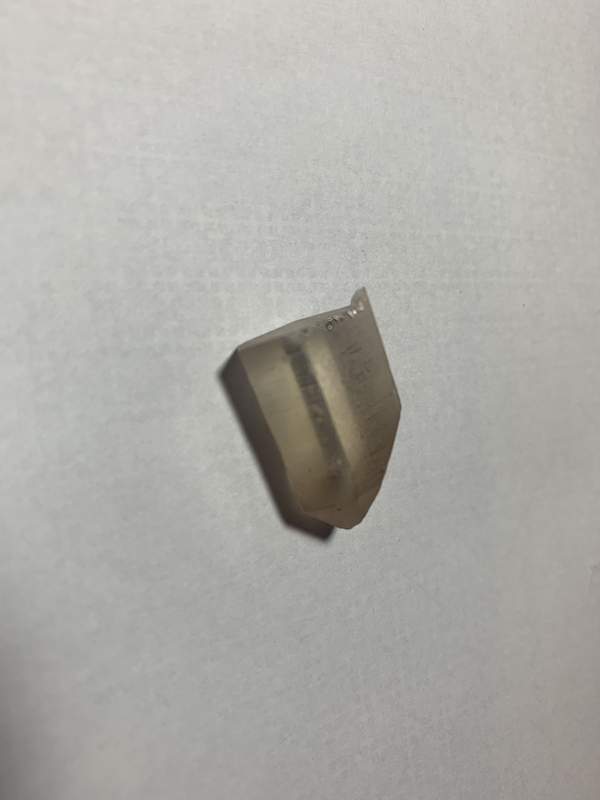 Here is a picture of my first cut stone... , a cheap citrine point I had picked up from Tucson this year. 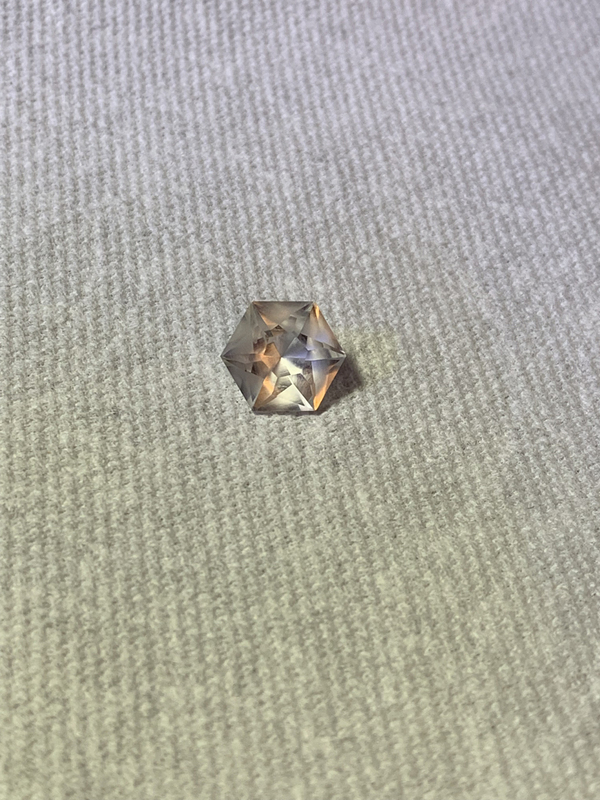 For the first stone I chose the GeM101 design from Tom Herbst book, mainly because of the step by step instructions provided and less number of facets. Thanks also to the forum members who have provided help and guidance, especially Bob (aka Durnik)! In my eagerness to cut, I forgot to take a picture of the actual rough. Here is a picture of a rough sibling taken from the same citrine point.